When Nigeria goes to the polls in February, rival candidates Goodluck Jonathan (Photo) and Muhammadu Buhari must do all they can to limit the risk of violence. 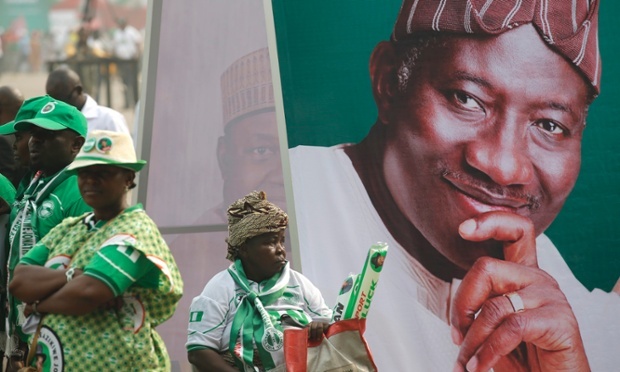 With less than a month to go before contentious polls, Nigeria is facing a perfect storm. Elections on 14 and 28 February are not only about choosing a new president and political representatives; they also constitute a critical test for Nigeria’s unity, particularly after five years of insurgency by the radical Islamist group Boko Haram. A public pledge for a peaceful election and the avoidance of violence after the polls has been signed by the seven presidential candidates, including the two front-runners: President Goodluck Jonathan and the former head of state, Muhammadu Buhari. It is certainly a positive first step, but it will be seriously undermined without full support and respect on the ground. Past elections have been violent, but the February polls could be particularly destabilising because they mark the first nationwide contest in decades between two relatively equal political parties – the People’s Democratic Party (PDP), which has held the presidency and most state governments since the return to democratic rule in 1999, and the All Progressives Congress (APC), a merger of the four largest opposition parties. This genuine contest is a sign of progress. But the acrimony between the parties, aggravated by regional and religious claims of entitlement to the presidency, has created a volatile environment. Jonathan is a Christian from the south, while Buhari is a Muslim from the north. Violence intensified in January, and included a gun attack on seven opposition members, allegedly by PDP agents. In northern Kano state, PDP supporters have been unable to campaign for fear of lynch mobs. 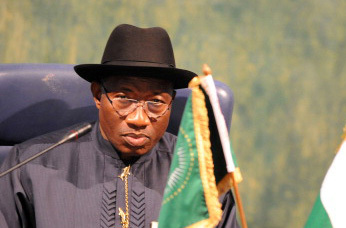 Jonathan’s campaign bus was attacked and burned in Jos, Plateau state. Supporters of both candidates have threatened violence if they feel their man has been cheated. Boko Haram’s attacks make the vote still more hazardous. The insurgents are hampering the work of the independent national electoral commission (INEC) and have already forced it to halt elections in high-risk areas of Borno, Adamawa and Yobe states. The insurgents may seize more communities – and more voters – before the polls. At the time of writing, the electoral commission is still struggling to get permanent voter cards to more than 15 million registered voters (about 22% of the electorate). It has asked voters to collect them instead, which for many will necessitate an arduous journey. Despite a senate resolution, in December, ordering INEC to make provisions that would enable internally displaced persons to vote – a move that would allow probably in excess of one million to participate in the election – this has not yet happened. As most displaced persons are from areas that traditionally support the opposition, this could disproportionately affect the APC, increasing the likelihood of the final results being disputed. Pro-PDP bias in security agencies also heightens tensions, raising doubts about how they will deal with potential post-election violence. The security services’ inadequacies have been exposed by Boko Haram, leaving many citizens to wonder if they will actually be safe at the polling stations. The police are dysfunctional and have suffered immense retaliation at the hand of insurgents, and the army is reeling from casualties, corruption and mismanagement. Four key steps must be taken to lower the political temperature. First, political parties and the presidential candidates, who bear the primary responsibility for preventing violence, need to tone down their rhetoric and hold their supporters accountable. In the event of contested results, aggrieved parties must turn to the courts, rather than to violence or unconstitutional arrangements. 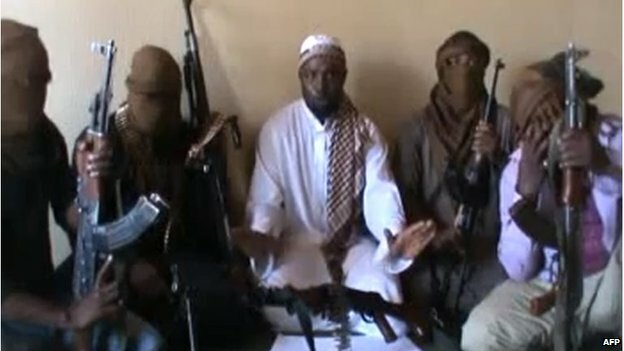 Second, Jonathan and his military chiefs must contain Boko Haram while avoiding heavy-handed tactics that alienate northern regions. 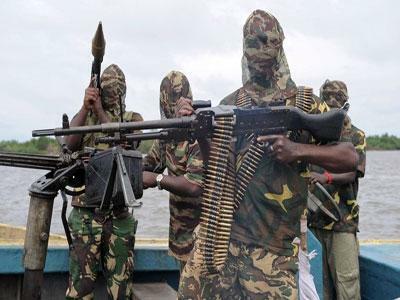 As the governors of the three most affected states have demanded, the federal government should urgently deploy more troops and intelligence personnel both to repel Boko Haram and to protect voters. Boko Haram’s recent attack on Baga, a village on the border with Chad, shows the government must enhance its cooperation with neighbouring countries to stem cross-border operations. Third, the electoral commission must act quickly to ensure that millions of voters are not disenfranchised. When it is unable to deliver new voter cards, it should allow voters to use their old ones. Fourth, institutions overseeing security agencies and monitoring respect for citizens’ rights, including the police service commission, national human rights commission and relevant committees of the federal parliament, should publicly condemn partisan acts and other excesses by security agencies. Nigeria’s religious, civic and media leaders have a critical role in urging politicians to take these steps to limit the risk of widespread violence. Nigerians cannot afford to continue with politics as usual; it is ruining their country. Comfort Ero is the Africa programme director for the International Crisis Group, whose most recent Nigeria report is Nigeria’s Dangerous 2015 Elections: Limiting the Violence. As young global leaders we would like to express our deep concern about the recent events in Nigeria. The massacre in Baga has been Boko Haram’s deadliest so far, despite reports of your brief visit to Maiduguri, you’ve publicly said nothing. More disturbing still is the fact that you would send a message to France condemning the killings there, yet seem unable to address the Nigerian people who look to you for leadership. Unfortunately, it’s not the first time you’ve met calamity with insouciance. On 10 November 2014 a suicide bomber killed 47 people and injured 79 others. The following day, with barely a mention of this horrific incident targeting children, you launched your re-election campaign. Despite the ease with which you move on, even you will remember the abduction of the schoolgirls in Chibok in April last year. It was 40 days before you addressed the country on that occasion. Nigerians waited, perplexed, as your government debated whether or not the abductions had even taken place. As a result, of all the girls captured, only 52 have secured their freedom – escaping on their own. The rest are still in captivity, still waiting to be rescued, months after being taken from their friends, family and community. Could it be that your government also doubts that the Baga attacks happened? Amnesty International’s satellite images confirm that indeed a massacre took place, and as many as 2,000 people are dead. Yet your army wastes time contesting the numbers. Whether 150 or 2,000, we’d like to hear from you on your government’s plans to secure the region and to bear witness to the loss of lives in Baga. We have seen a clear incompetency in handling matters of national interest. In the context of existing ethnic and religious fault lines, silence only says that Nigeria’s government does not care about the victims and is not dealing with the insurgency. True, the global community has also failed to maintain pressure on a government that seems ambivalent about fulfilling its constitutional role to secure the lives and properties of its citizens. With more than 150,000 people who have fled their homes, swelling camps within Nigeria and overwhelming border communities, it seems the only hope to see you act is international outrage. It was this that finally forced you to address the nation and the world after the Chibok abductions. It was only then that you reached out to other countries and, with their help, agreed a plan for a regional security force to secure the porous borders between Nigeria, Niger and Chad where Boko Haram roams undeterred. Perhaps, had international pressure been sustained last year, a multi-regional force would have been based in Baga as planned. Perhaps it would have been strong enough to repel Boko Haram when the militants attacked on 3 January. Perhaps 2,000 lives could have been saved. But Isis struck and the world moved on, leaving a small national military unit to stand between hundreds of armed militants and a town of 10,000 people. We now know what happened. The world has seen pictures of bodies still strewn around the forest and river where they died. If these deaths do not generate the attention, outcry and action that they ought to, we can only prepare the ground for more bodies because Boko Haram shows no sign of relenting. The insurgents can be defeated but first you must decide if the lives of Nigerians are worth it. Break the silence, President. Call for global attention and support to prevent further loss of life – and it must be said – silence those who think that African leaders care nothing for their people. Be the voice for the thousands of innocent people who have died and the millions who yearn for peace. They have the right to rebuild their communities and claim their place in the unfolding rise of the African continent. The signatories are all members of the World Economic Forum of Young Global Leaders but are not speaking on its behalf. Breaking News: Is Kandeh Yumkella declaring for SLPP’s presidential flagbearership?